1968 Mustang California special page. 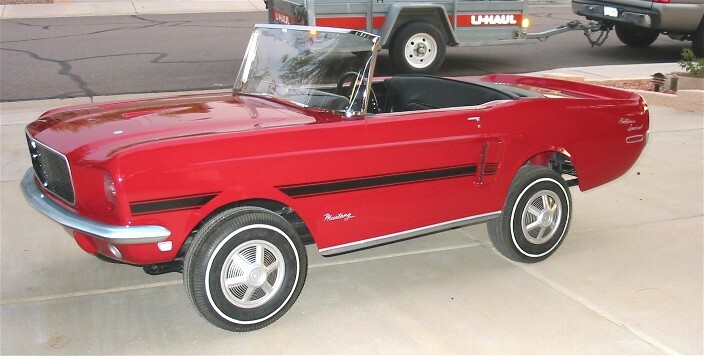 1968 Mustang CA special Mini replica! 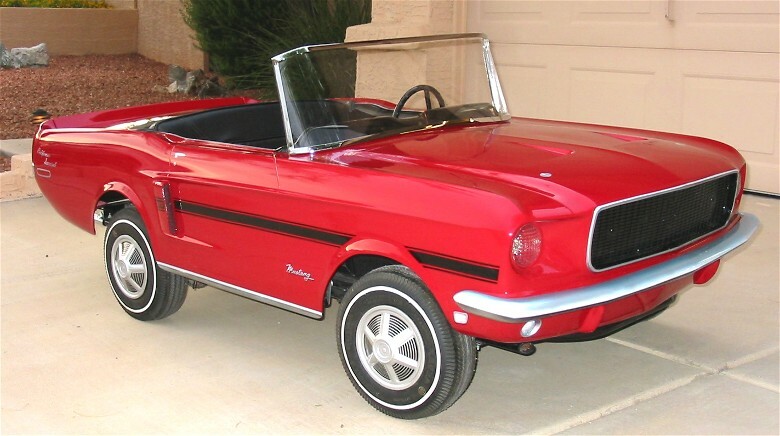 What happens when you own a full size 1968 Califonia special and you want a Junior version? Since the Powercar company went under in 1967 they obviously did not make a 68 version! And they never made any special editions such as a Shelby or California Special nor a High country edition! When you enlist the help of D and S Pedalcar that is not a problem! 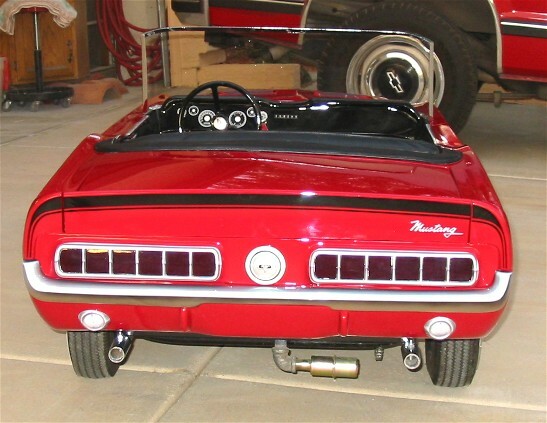 They took an original Mustang Jr and heavily modifed it! The background of Picture number 6 shows the begining of the process! 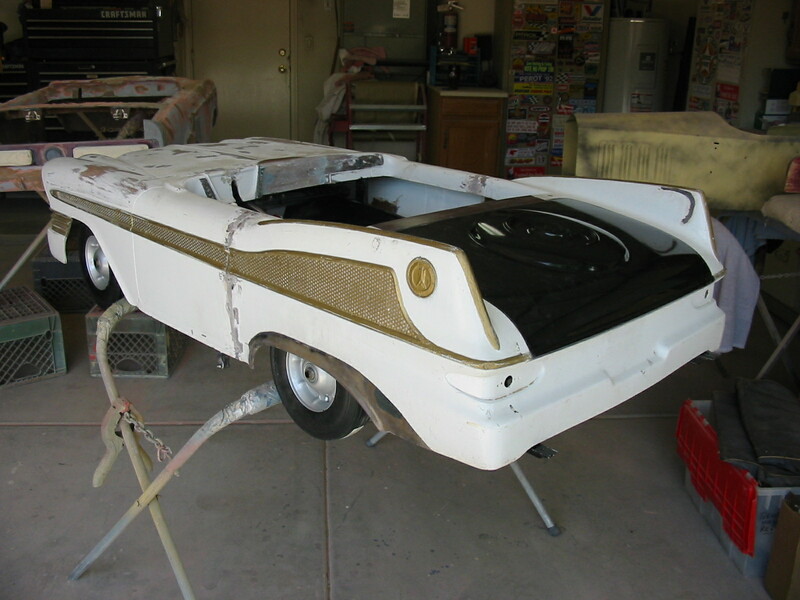 click on the small image to see the full size image and you will see the trunk lid area has been removed to replicate the special trunk lid with spoiler used on the real cars (also fiberglass) and this also makes for easy access to the motor. 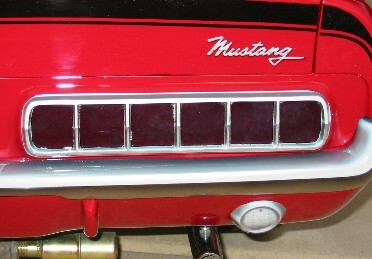 The original taillight housings have been replaced with the Carol Shelby style taillights that were used on CA Specials. You can also see the beginning of the side scoops. I will be adding more pages like this that highlight individual cars in the future. I am always looking for more images and would love to feature unmolested originals for the restoration crowd. And also full restorations and modifications like this one for inspiration to all those project cars out there waiting for their day in the spotlight. I have started a Resourses page that I will list known available original parts and reproduction parts for Powercar products. I have also started to compile a list of surviving cars. but the list is only as good as the information that I am provided. or as good as i am able to update it. if you have information to share or parts to sell let me know.